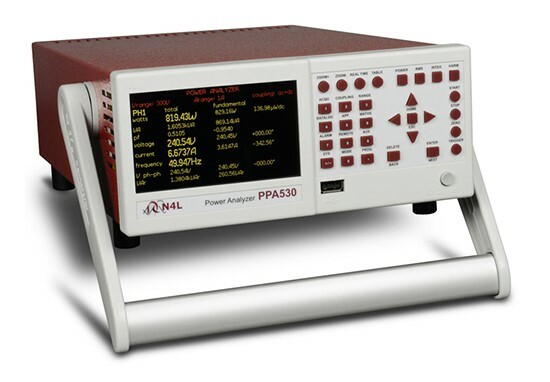 The PPA 500 series power analyzers from Newtons4th (N4L) are high performance low cost power analyzers. The PPA 500 power analyzers are ideally suitable to production or test environment where complex features are not required. They are available in 1, 2 or 3 phase versions. Features such as the planar shunt (A shunt design topology developed by N4L) and FPGA based real time no gap analysis technique all contribute to the PPA500′s fantastic offering. The low cost of the PPA500 Power Analyzer presents a great opportunity to system integrators looking for accurate, traceable, reliable power analysis. All PPA500 units are supplied with UKAS ISO17025 certification as standard, this is performed at N4L in the UK in their accredited ISO17025 Laboratory.